Private SNP N3 not placed on tree. Identical SNPs that were discovered separately are listed in alphabetical order, not necessarily in the order of discovery, and separated by "/". Examples: M359.1/P41.1. The numbered SNPS 021355 and 022457are the short-form notation for IMS-JST021355 and IMS-JST022457. Y-DNA haplogroup D is seen primarily in Central Asia, Southeast Asia, and in Japan and was established approximately 50,000 years ago. Sub-group D1 (D-M15) is seen in Tibet, Mongolia, Central Asia, and Southeast Asia, and the sub-groups D* (D-M174) and D3 (D-P47) are seen in Central Asia. The sub-group D2 (D-M55) is seen almost exclusively in Japan. The high frequency of haplogroup D in Tibet (about 50%) and in Japan (about 35%) implies some early migratory connection between these areas. Examination of the genetic diversity seen in sub-group D2 in Japan implies that this group has been isolated in Japan for between 12,000-20,000 years. The highest frequencies of D2 in Japan are seen among the Ainu and the Ryukyuans. 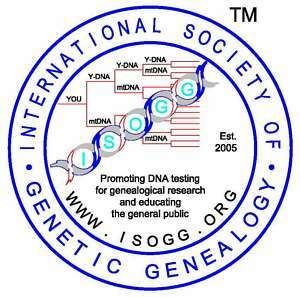 An isolated incidence of haplogroup D has also been seen in the Andaman Islands in the Indian Ocean. This implies that the group may once have had a much greater range, but has subsequently been displaced by more recent population events. Gayden et al, The Himalayas as a Directional Barrier to Gene Flow. American Journal of Human Genetics, 80(5):884-894, 2007. Hammer et al, Dual Origins of the Japanese: Common Ground for Hunter-gatherer and Farmer Y Chromosomes. (abstract) Journal of Human Genetics, 51:47-58, 2006. Nonaka et al, Y Chromosomal Binary Haplogroups in the Japanese Population and their Relationship to 16 Y-STR Polymorphisms. (abstract) Annals of Human Genetics, 71:480-495, 2007. Shi et al, Y-Chromosome Evidence of Earliest Modern Human Settlement in East Asia and Multiple Origins of Tibetan and Japanese Populations. (abstract) BMC Biology 2008, 6:45, 2008. Su et al, Y-chromosome Evidence for a Northward Migration of Modern Humans into Eastern Asia during the Last Ice Age, (pdf), American Journal of Human Genetics, 65:1718-1724, 1999. N1 and N2 were previously referenced in Notes and were placed on tree on 4 May 2008. P12, P53.2 and P99 moved to new subclades on 4 May 2008 and P53.2 no longer categorized as provisional. New snps added on 4 May 2008: 021355 (IMS-JST021355), 022457 (IMS-JST022457), P99, P120, P190, N1. Paragraph one of the Haplogroup description was revised on 4 May 2008. Charles Moore added as a Contact Person on 4 May 2008. Nonaka et al (2007) added on 5 May 2008. Added Gayden et al (2007) and Shi et al (2008) on 24 December 2008.